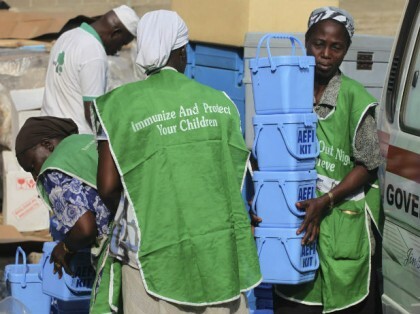 With two years of Nigeria celebrating a halt in polio virus transmission, the news of incidents of polio in two local government areas of Borno state Jere and Gwoza has come as a surprise. The minister of health, Prof Isaac Adewole and the Borno state commissioner of health, Haruna Mshelia both reacted to this in a short interview with health correspondents at the state house, this Thursday. The unusual circumstances occasioned by insurgency in the area might have led health officials to anticipate some public health challenges, but the minister said the government did not envisage polio. An immunization exercise is to commence immediately in the affected areas. The commissioner said total coverage will soon begin, as the state government and relevant partners are meeting to strategise on how to prevent the spread.